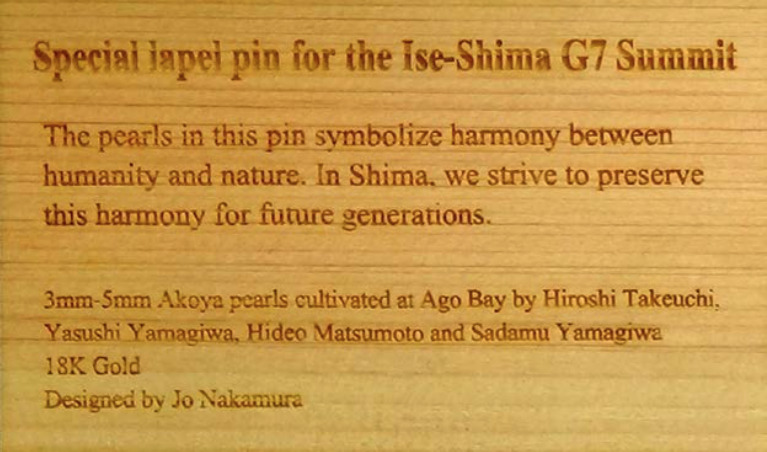 Special lapel pin for the Ise-shima G7 Summit The pearls in this pin symbolize harmony between humanity and nature. In Shima, we strive to preserve this harmony for future generations. This pin is not offered as mere decoration. 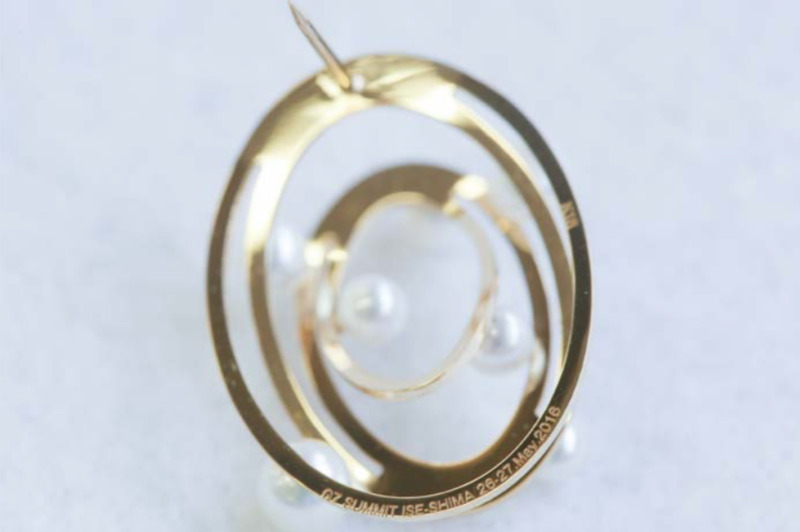 It symbolizes the intricate relationship of humankind and the natural world. For several thousand years, the people of Shima-city worked in harmony with the sea, as fishing played a central role in our way of life. In the last century, industrialization has presented challenges to this harmony, as it has in many other parts of the world. The Satoumi Project is striving to restore the balance with nature that has been so meaningful and nourishing to Shima-City for centuries, and to pass this balance on to future generations. The pearls in this pin represent one of the fruits of this balance. Without a diverse and thriving marine ecosystem, their beauty would not be possible. We hope that G7 leaders will accept and wear this pin. In doing so, you will support us in advocating the cultivation and preservation of our relationship with the natural world. 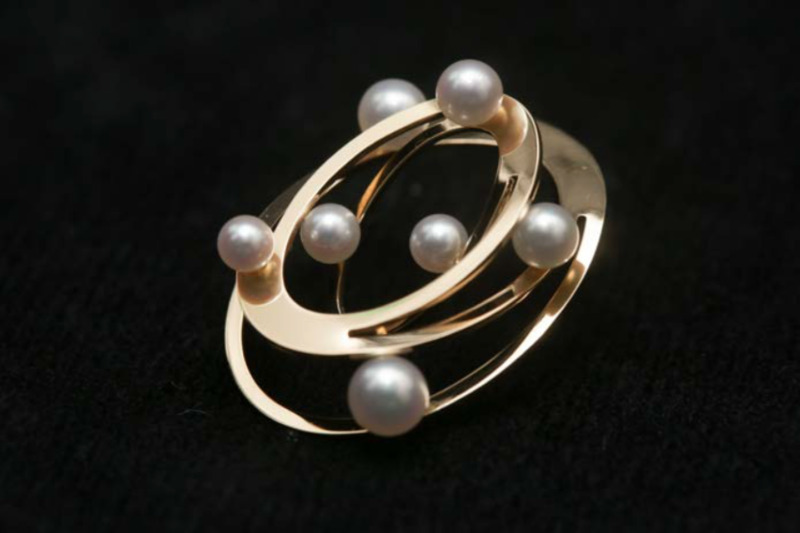 The pearls in this pin symbolize harmony between humanity and nature. In Shima, we strive to preserve this harmony for future generations. Members are farmers, traders and retailers in Mie Pref. COPYRIGHT©JAPAN PEARL PROMOTION SOCIETY, ALL RIGHTS RESERVED.